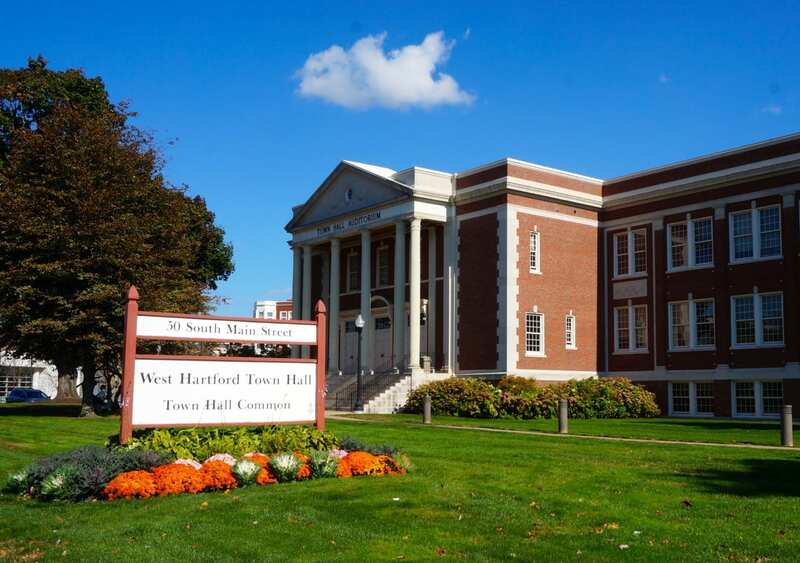 Both West Hartford Stop & Shop stores locations closed early Thursday afternoon as workers began a strike in response to the breakdown of labor negotiations. 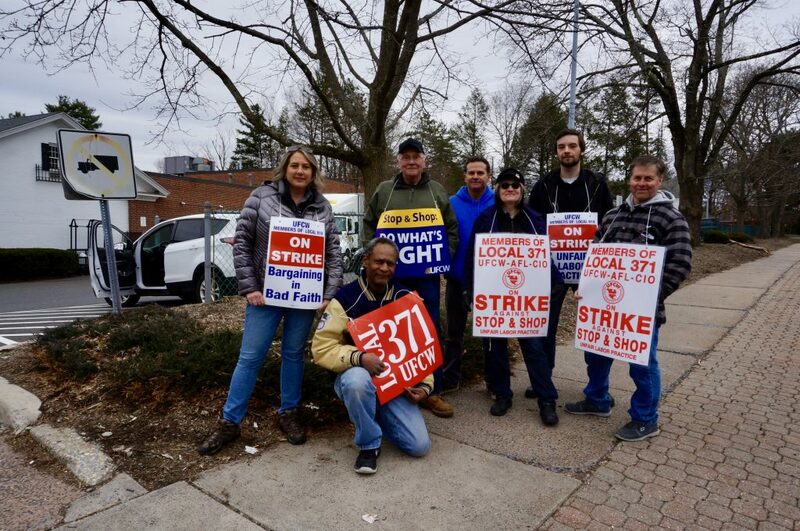 Employees at West Hartford’s two Stop & Shop stores were manning the picket line rather than the checkout line Thursday afternoon after walking off the job at 1 p.m. in response to a breakdown in labor negotiations that have been ongoing for months. He cited the company’s dramatic plans to increase insurance premium copayments for employees as an example. Personally, he said his copay would increase from $27 per week to $140 per week. Floral Department Manager Jennifer Bugai said that the store closed and most everyone exited right at 1 p.m. when the strike was called. 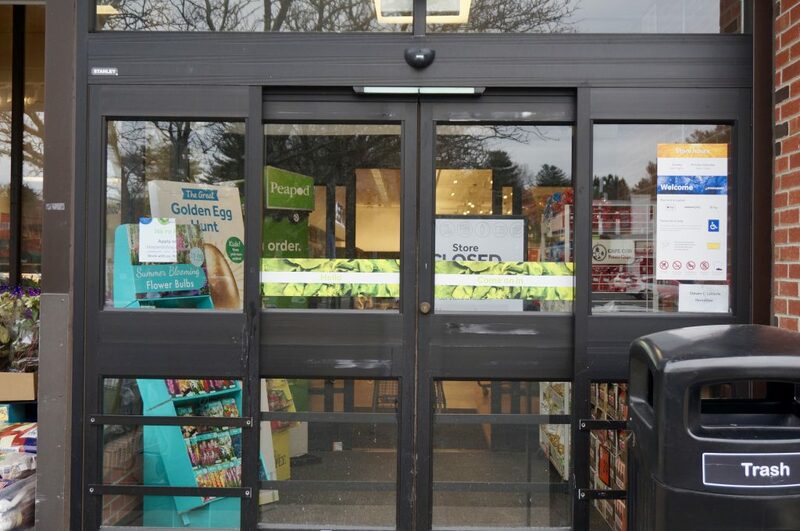 Customers who were already at the registers were able to check out, and the doors to the store were then locked. Barry said that 157 employees work at the Farmington Avenue store, and all were honoring the picket line thus far. 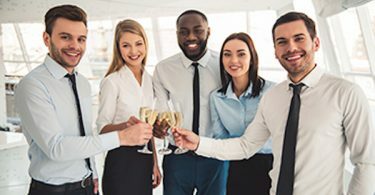 As employees arrived for their shifts – including one who had just started work a few days ago – they joined the dozens already wearing sandwich boards and standing in front of the store or at the entrances to the parking lot. 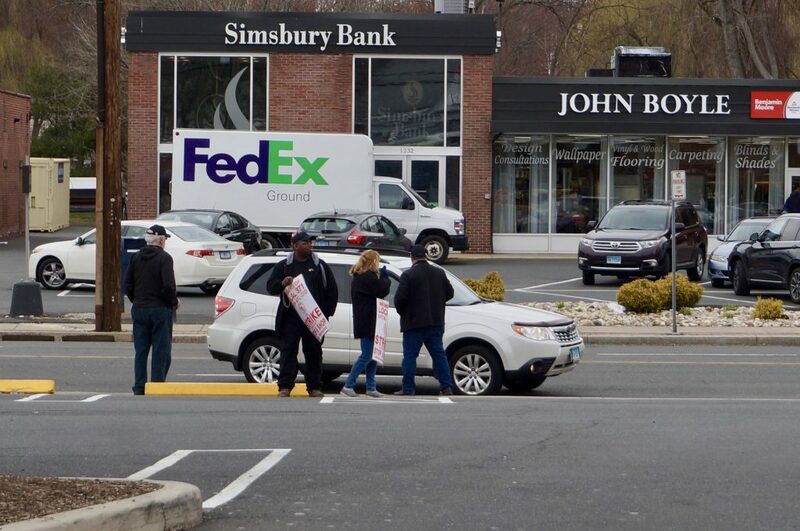 “They’re fighting a good fight,” said West Hartford Town Council member and labor lawyer Ben Wenograd, who joined the Stop & Shop employees in the picket line Thursday. Many drivers honked their car horns in support as they passed by on Boulevard or Farmington Avenue. A few people who entered the parking lot from the far end, where no picketers were standing, were surprised to find the store closed and locked when they walked up with their carts. “I understand your point of view,” said Carolyn Lind, a potential customer from West Hartford who had not heard that the strike had begun. 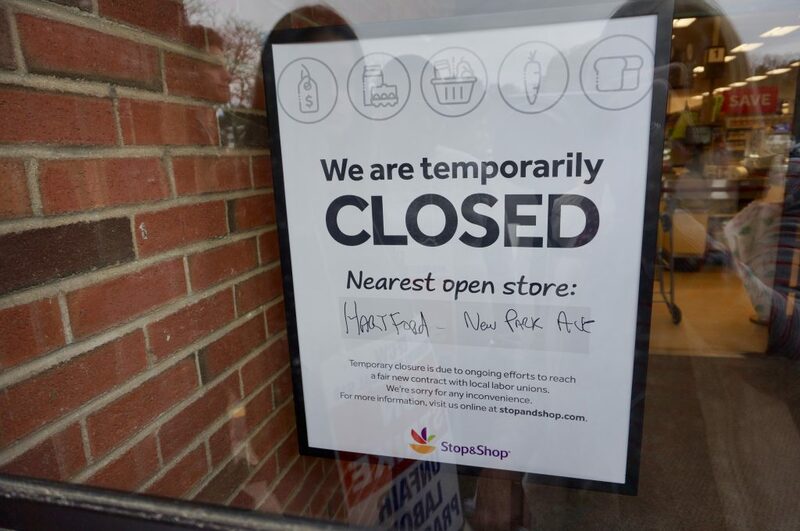 A sign in the doorway said that the nearest open Stop & Shop store was on New Park Avenue, just over the line in Hartford. A person who answered the phone at the 150 New Park Ave. store said it had been closed earlier, but reopened and was being staffed by managers. Only the self-checkout was available, she said. 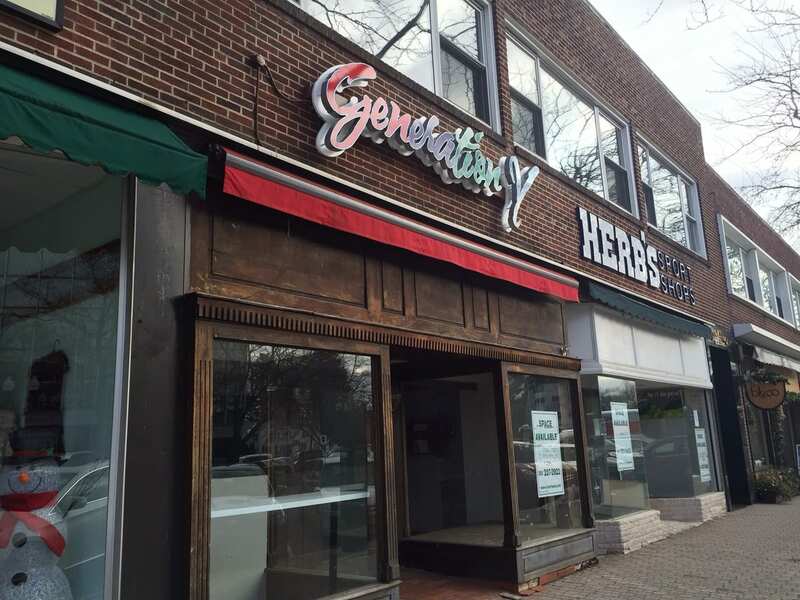 The manager of the West Hartford store was unable to comment, and the employees did not have any information about whether or when the Farmington Avenue store might reopen. 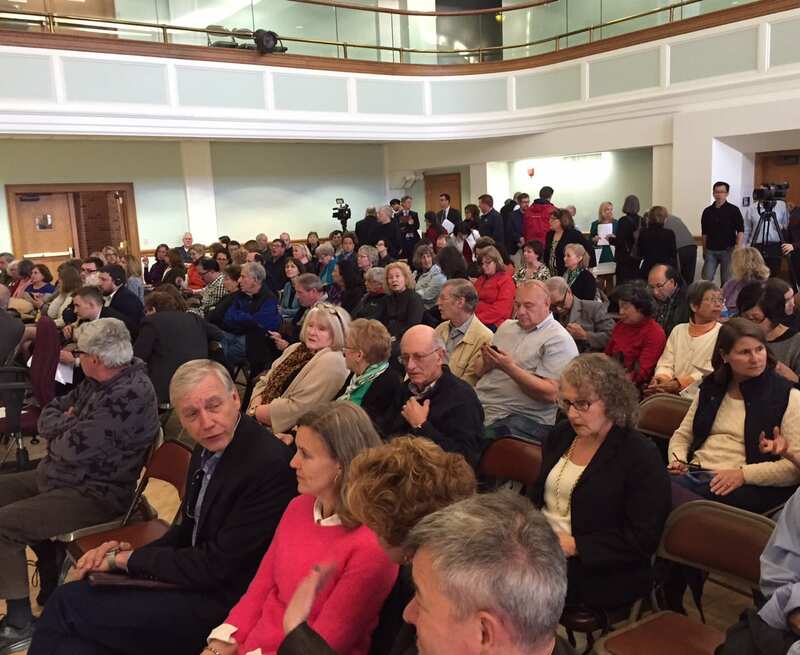 “I hope that it if does reopen, people will respect the picket line,” Wenograd said. He urged customers not to break the picket line, to sign a petition in support, and to shop at other union stores if possible during the strike. 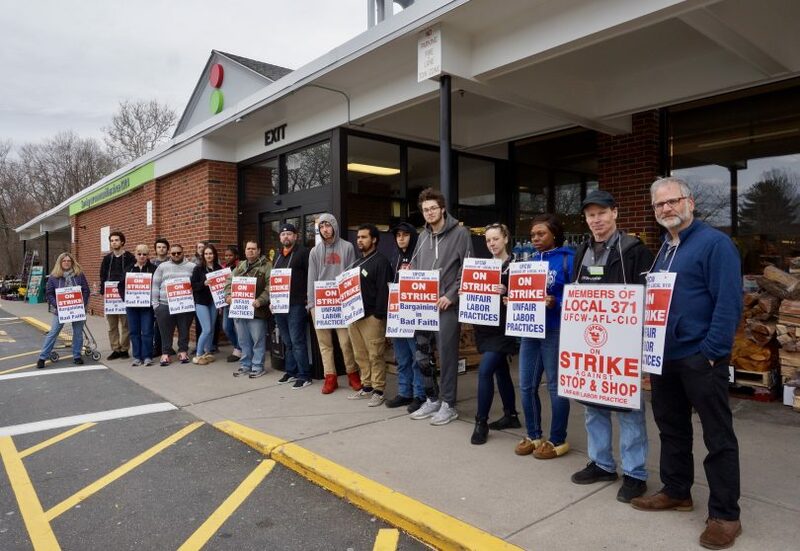 Stop & Shop’s workers are members of the United Food and Commercial Workers Union (UFCW), which is affiliated with the AFL-CIO. 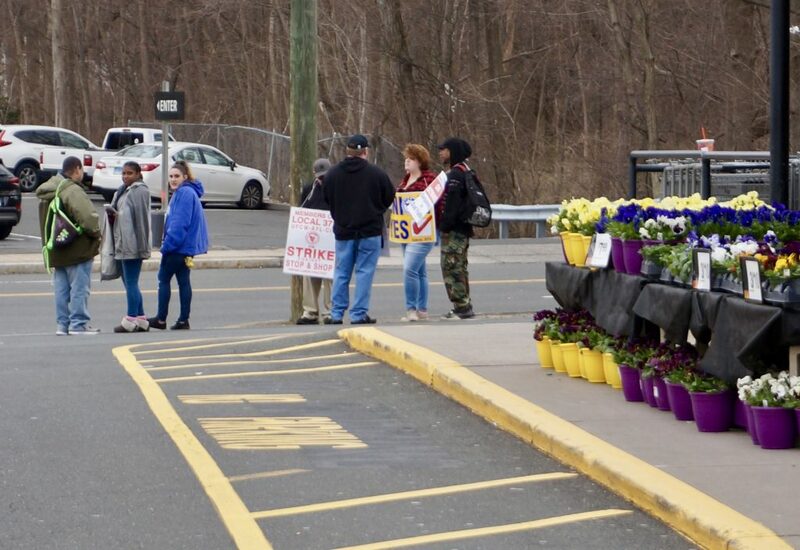 Company-wide, Stop & Shop’s 31,000 workers in 440 stores in Connecticut, Massachusetts, Northern New Jersey, Rhode Island, and New York City all went on strike Thursday. A Stop & Shop spokesperson could not be reached for comment. They’re striking because of increased health care premiums? Umm, welcome to the real world, everyone’s health care costs are going up. It’s occult by design. 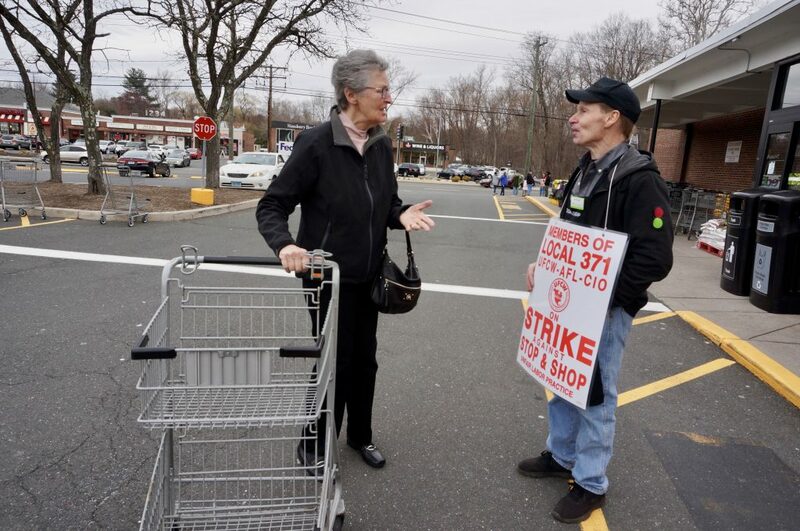 The last time stop n shop had a strike was 31 years ago. 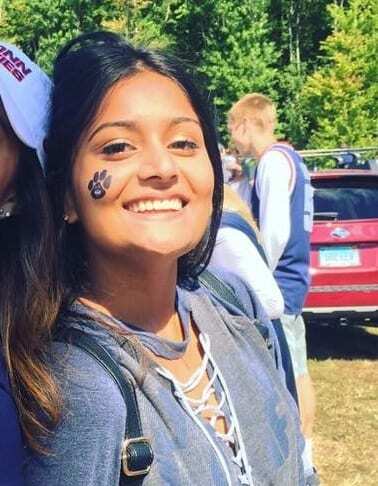 Backwards 13. 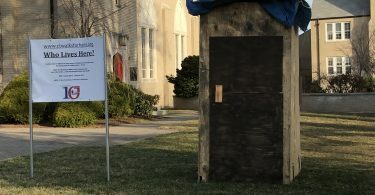 Strike arranged by the Freemasons. don’t shop there til the strike is over. Won’t be more than a few weeks at the most. Yes. You are censoring big time. Never will tell anyone to read we-ha. shame on you. If the subject is brought up, I’ll say, don’t bother, it is censored and you will never get the truth from them. Waste of time.